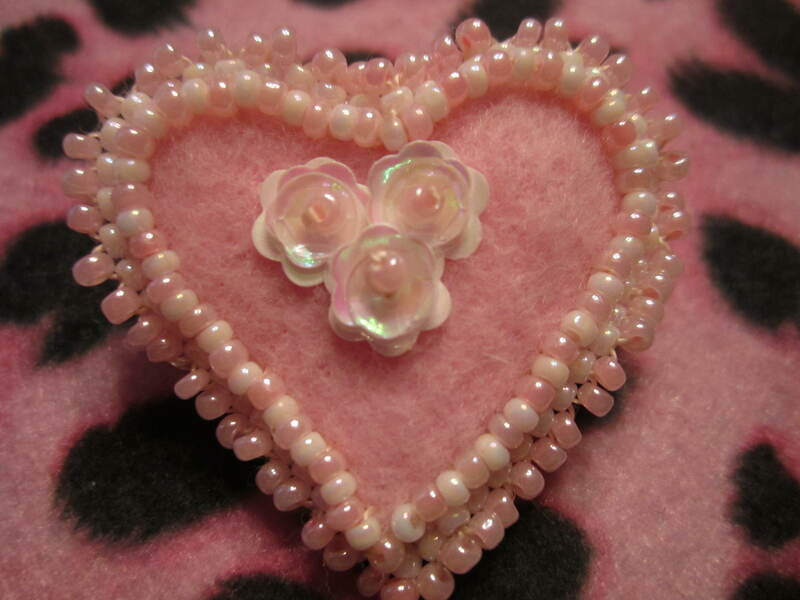 I got out my felt and beads today and had fun making a beaded and sequined pin. 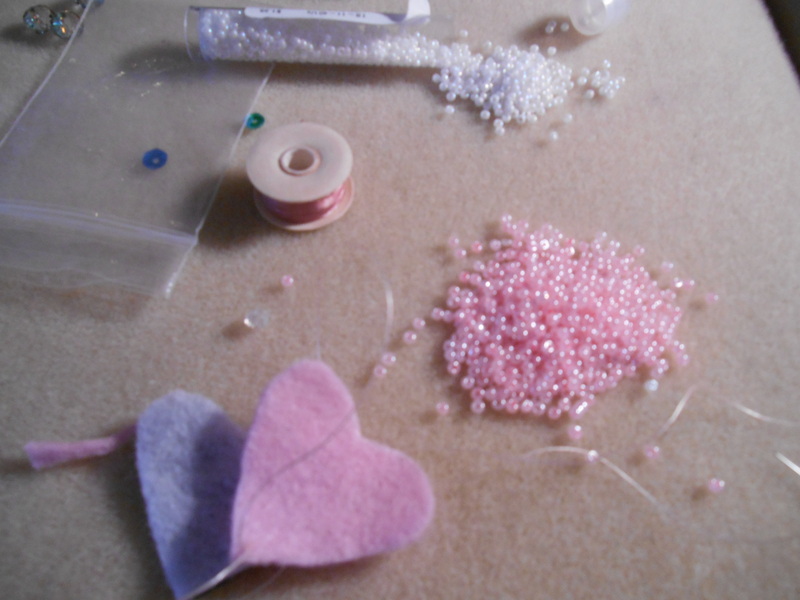 I love working with seed beads and sequins and have such a wonderful variety now that it is really fun to play and make new things !! Here is what I made today !! 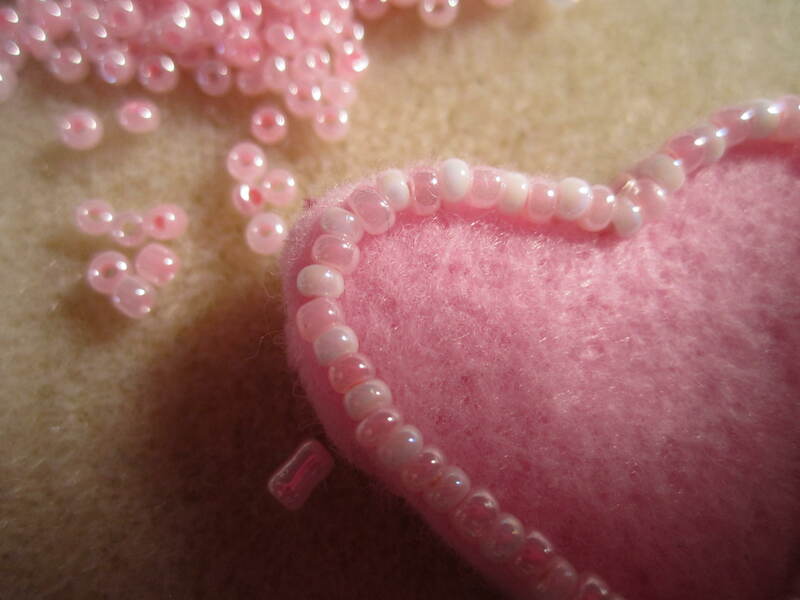 I cut out two small felt hearts, and got out beading thread and seed beads in the color I wanted to use !! 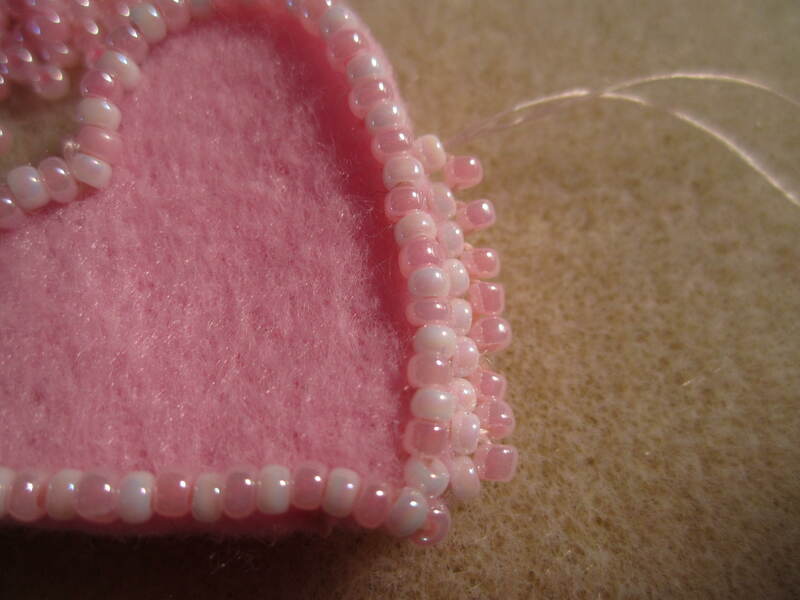 I put a row of alternating white and pink seed beads all around the heart . after I finished the edge I got out a selection of sequins and stacked them up to make a three dimensional flower and topped it with a pink seed bead to hold it all in place. 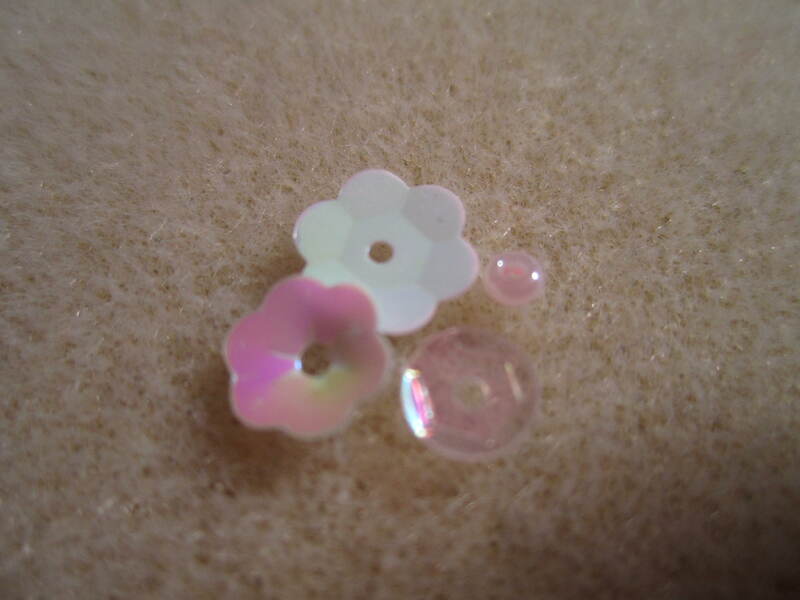 An almost flat flower, a cupped flower, and a very pale pink transparent slightly cupped sequin and a seed bead that matches the ones I used on the edging. 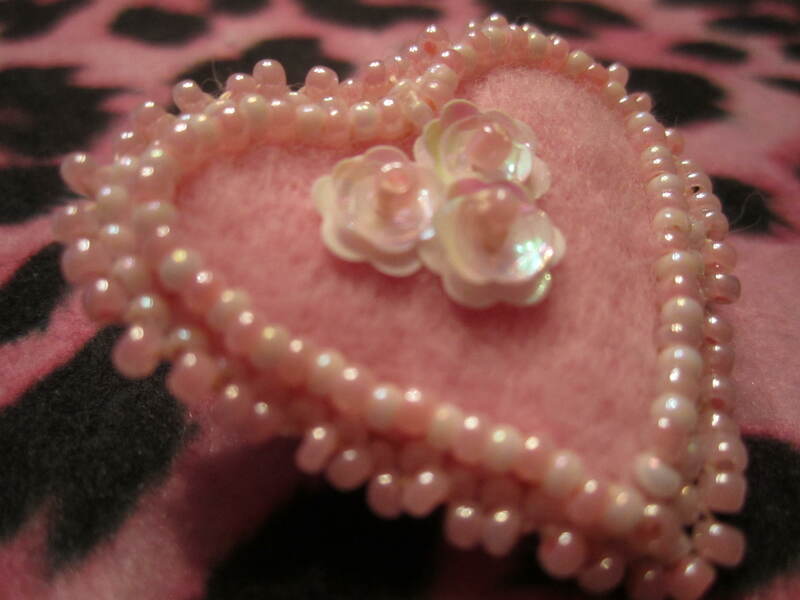 after the flowers were done, I sewed a pin back on the second heart and then I put the two hearts together and started sewing them together with a seed bead edging. I slightly stuffed it with fine cotton, and here is how it came out !! then I put another flower over the knot in the back to cover it up. All finished !! 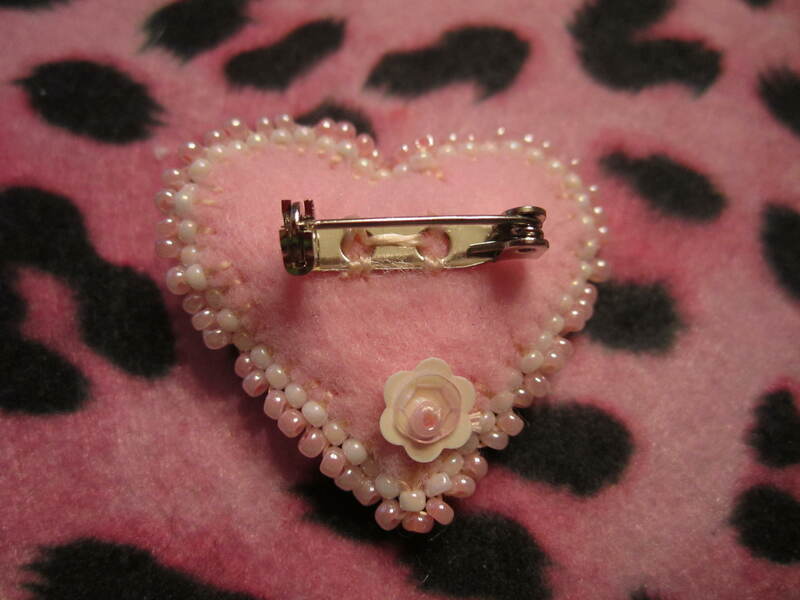 I am going to list it in my Etsy store tonight or tomorrow, I plan to list it at 15.00. 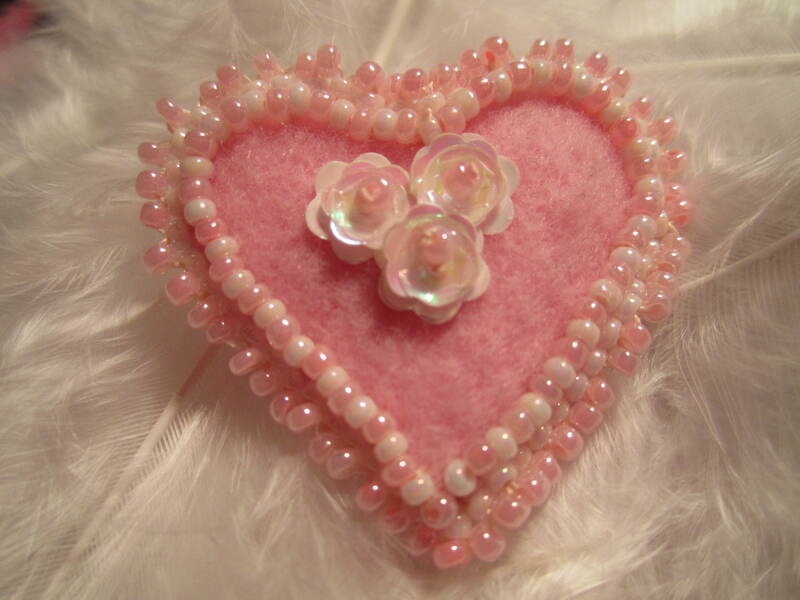 It is all hand made and looks really nice. Huge close up pictures are not near as nice as in person !!!! 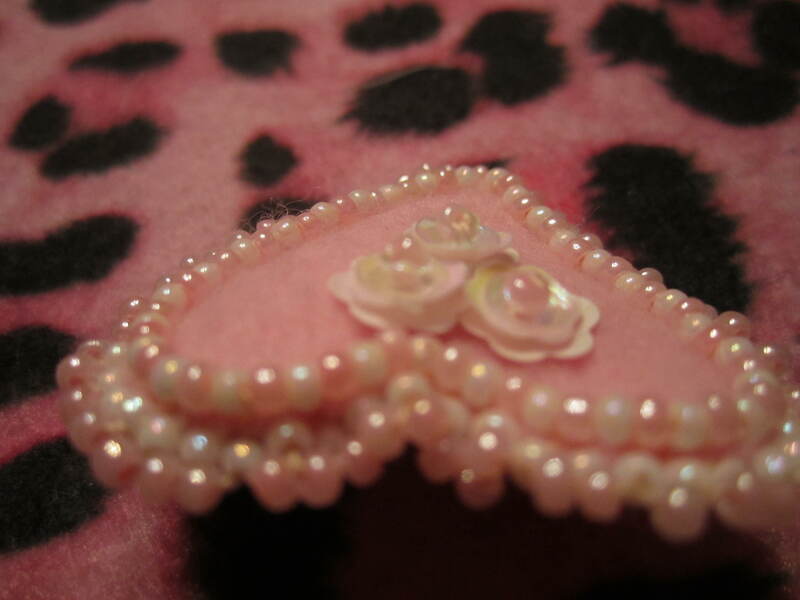 I plan to make a leopard one, and a red one tomorrow, just to show a few different kinds ! !